Can Common Environmental Toxins Affect Your Ability to Conceive? Infertility - In America today, one in six couples of child-bearing age has trouble conceiving and completing a successful pregnancy. That's 6.1 million couples! Although a lot of focus with infertility is on the female partner, studies show that approximately 40 percent of infertility cases are due to men’s sperm abnormalities such as low sperm count, abnormal sperm shape or decreased sperm motility. As with most other conditions that have been on the rise, many of today’s infertility cases are attributed to poor nutrition, stress, eating disorders, intense exercise and exposure to environmental toxins. In this report I am going to focus on a common, but not well understood phenomenon, and that is the toxic effect of environmental chemicals and pollutants, and how they can affect your ability to conceive and to carry a baby to term. One thing we recommend for anyone who is experiencing symptoms of infertility is to have a hair mineral analysis test done. How can a hair analysis help you achieve better health? If we consider that diet is what we consume and nutrition is what we retain, then we can see that discovering what your body needs when it needs it is a valuable tool in creating health. A hair analysis can detremine which essential minerals your body is needing more of and which toxic elements it needs to eliminate. It also provides valuable insight into your metaoblism and what dietary changes would be most helpful for you. Endometriosis, a blockage in the fallopian tubes, severe anemia, polycystic ovary syndrome, chlamydia or pelvic inflammatory disease, long periods of time on birth control pills, nutrient deficiencies, eating disorders (especially anorexia), hormonal problems, chronic illness, overly intense exercise, obesity, stress, and exposure to environmental toxins. Low sperm production and/or abnormal sperm, low sperm motility, steroid use, zinc deficiency, sexually transmitted diseases, poor nutrition, drug use, and radiation or heavy metal poisoning. If you are experiencing infertility, get all the medical help you can. Next, check out the common toxins that you may be exposed to, both at home and at work, and take steps to reduce your exposure. Also, restore and nourish your bodies with good nutrition, therapeutic supplements, and stress management techniques. And last but not least, detoxify your body of heavy metals, chemicals and other toxins that may be lurking in your body tissues. By following these steps, you will go a long way in saving your reproductive health. Observed Effects: Women exposed to more than 20 hours per week may be at a higher risk for pregnancy loss because of electromagnetic radiation (EMR). Toxic mineral ratios and toxic metal accumulation following long term or acute exposure can contribute greatly to degenerative conditions like infertility. If we consider that diet is what we consume and nutrition is what we retain, then we can see that discovering what your body needs when it needs it is a valuable tool in creating health. The dangers of exposure to toxic heavy metals such as mercury, lead and aluminum have been well documented over the years. Levels of heavy metals in the body can only be accurately measured using a hair tissue analysis or a chelation challenge test (which can be expensive and have serious side-effects). Blood or urine tests give information about your metal or mineral levels at the time of the test only. A hair analysis provides a biological profile of the past 2 – 3 months of intracellular activity revealing a unique metabolic world which cannot be seen through most other tests. The hair mineral analysis gives you or your healthcare professional much-needed information about mineral deficiencies and chemical imbalances in your body, especially if you’re suffering from symptoms of any disease or disorder, including infertility. If you have already been exposed to any of these toxins, or if you continue to work in a "high risk" profession, what should you do? First of all, it is necessary to remove the stored toxins and chemicals from your body. Toxic chemicals, metals and radiation poisons are stored within the tissues and organs of the body, and they are not removed through traditional detoxification methods, such as fasting. 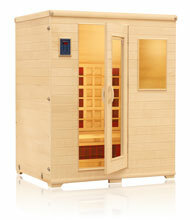 Infrared Saunas have an excellent reputation for removing both metal and chemical contaminants from the body. They are a wonderful addition to other natural chelators, especially for removing chemicals that one is exposed to on a daily basis. One drawback is that they are expensive ( $3,500 and up), or require visits to a health care practitioner's office. Another very good and inexpensive way to detoxify is to take a bath in sodium bentonite clay. Sodium bentonite clay can be a very simple and effective way to remove heavy metals and chemical contaminants from the surface tissue of the body. Studies have shown that vitamin E is important to fertility for both men and women. Vitamin E 400 IU with selenium 200 mcg daily shows pregnancies rise by 21%. Selenium is manufactured from plant-derived saccharides and combines an amino acid carrier to ensure absorption. 3000 mg or Vitamin C daily prevents low sperm count and sperm clumping, and is helpful for female infertility as well. Vitamin C helps to strengthen the immune system. Vitamin C is a powerful antioxidant that protects against free radical damage. Vitamin C also helps to strengthen the walls of veins and arteries. It cleanses and flushes out toxins from your body. Avoid caffeine, including coffee, soft drinks, chocolate and black teas. Use environmentally safe household cleaners and pesticides. Use protective equipment to reduce exposures to workplace hazards. Drink purified water to avoid chlorine and other chemicals. Avoid junk food, fast foods, and chemical-laced food. Eat organic meats, fruits and vegetables. Take all reasonable treatments to remove toxins from the body. Thank you for visiting our page on Environmental Causes of Infertility!